In an announcement that is sure to bring cheer to many expatriates who were denied a visa, Union Home Minister Rajnath Singh announced that the government has lifted the ban on more than 100 Sikhs, blacklisted after the outbreak of militancy in Punjab, and that they can now travel to India. For the past several visits to the United States, United Kingdom, and other countries, Dr. Swamy has been championing this cause and emphasizing how Sikhs were an integral part of the broad umbrella of Sanatana Dharma. The online site Tribune had a detailed report on this announcement, which the Home Minister made while addressing the RSS affiliate Rashtriya Sikh Sangat to mark the 350th birth year of the 10th Sikh Guru, Guru Gobind Singh. Also present in the function were Mohan Bhagwat, the Rashtriya Swayamsewak Sangh (RSS) chief, Union Ministers Piyush Goyal, Harsh Vardhan, Hardeep Puri and Vijay Goel. This is the culmination of untiring efforts by many, especially Senior BJP leader Dr. Subrmanian Swamy, his longtime associate and National General Secretary of Virat Hindustan Sangam(VHS), Jagdish Shetty, the team in the Consulate of India in San Francisco and other centers, Sukhi Chahal, Chairman Punjab Foundation, Silicon Valley, Hindu Swayamsewak Sangh (HSS) and many others who worked hard to bring about a rapprochement and review of the existing visa policy of the Government of India. For the past several visits to the United States, United Kingdom, and other countries, Dr. Swamy has been championing this cause and emphasizing how Sikhs were an integral part of the broad umbrella of Sanatana Dharma. If you see the above video, he traces how there was a conspiracy to frame Sant Bhindranwale and the subsequent Operation Bluestar, which resulted in hurting the sentiments of an intensely patriotic Sikh community which had evolved over centuries to be a shield against the conquests from invaders from the West. It all started with Dr. Swamy’s visit to the UK in 2015, flying on the winds of great expectations and anticipation. A series of events organized by Satish Sharma of VHS-UK as part of the National Council of Hindu Temples (NCHTUK) called ‘Dharma Rising’, gave oxygen to the masses to engage in productive, positive debate reflecting upon issues ranging from interfaith dialogue, relationships between India and the UK, the British General Election and the Indian Diaspora. The series of events took place at venues from London, Slough, and Birmingham. In a dramatic gesture of goodwill between the Hindu and Sikh community, Dr. Swamy became the first Indian politician to be welcomed in any Gurdwara in the West since 1984. 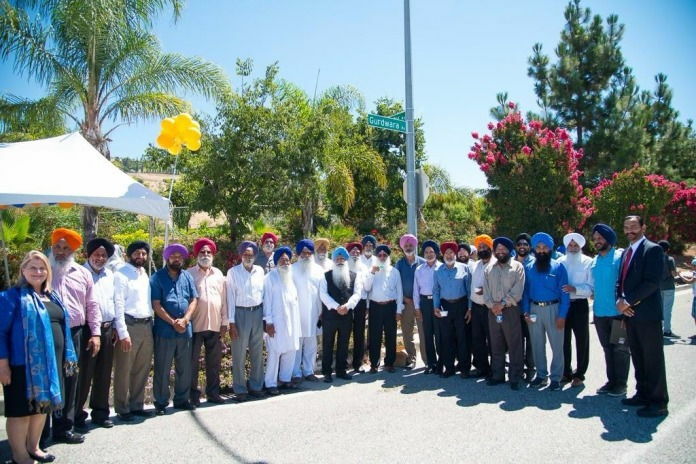 In a move that brought cheer to the Indian-American community at large, the city of San Jose had renamed the street on which the San Jose Sikh Gurudwara was located as Gurudwara Avenue, a few months back. The event was attended by San Jose Mayor, Vice Mayor, Councilmen and State Assembly leaders. Efforts are also on to renovate the Gadar Memorial, a building in San Francisco that housed the Gadar movement, which had fought for India’s freedom in the early 20th century. I will be writing more on this in later columns. Leadership is about having a vision, identifying the pain points, admitting faults and finding a way forward, to heal and work for the betterment of humanity at large. By his herculean efforts, Dr. Swamy has proved once again that he is a Statesman. Congress is interested only in power by dividing people religion wise castwise language wise etc.Subramaniamswamy is the true Indian who always fights for India.